We’ve been seeing a lot of NES clones on the market these days. Given the age of the NES hardware, many people have been turning to new clone hardware solutions to play their old favorites. There is certainly no shortage of choice – there are literally hundreds, if not thousands – of these devices that all play 8-bit Nintendo cartridges. But what if you have an SNES or SNES clone and don’t have desire to buy a standalone clone unit to play NES games? It might seem strange but now, RetroBit has you covered with their standalone RetroPort for Super Famicom, Super NES or Super Famiclone systems that will allow you to do something never thought possible – play your NES games right on your SNES! The RetroBit RetroPort is a slimline cartridge adapter with a universal shape that plugs into the top of any Super NES, Super Famicom or clone hardware without any modifications needed to your console. It allows you to place North American or even European NES game cartridges into the top of the device and play them right on your SNES with your choice of SNES controllers! Using only the power provided from the SNES cartridge slot, the RetroBit NES RetroPort has a self contained NOAC (Nintendo On A Chip) and interfaces with the SNES for standard button input. As the SNES doesn’t have video feed pins through its cartridge slot, audio and video are provided to the RetroPort not by the SNES, but instead, an RCA to stereo 3.5mm headphone jack located in the side of the device. The included cable can then be plugged into any composite video input of your choice and provide duel mono, simulated stereo audio. As with every NOAC, there are certain games that are not compatible with the RetroPort. 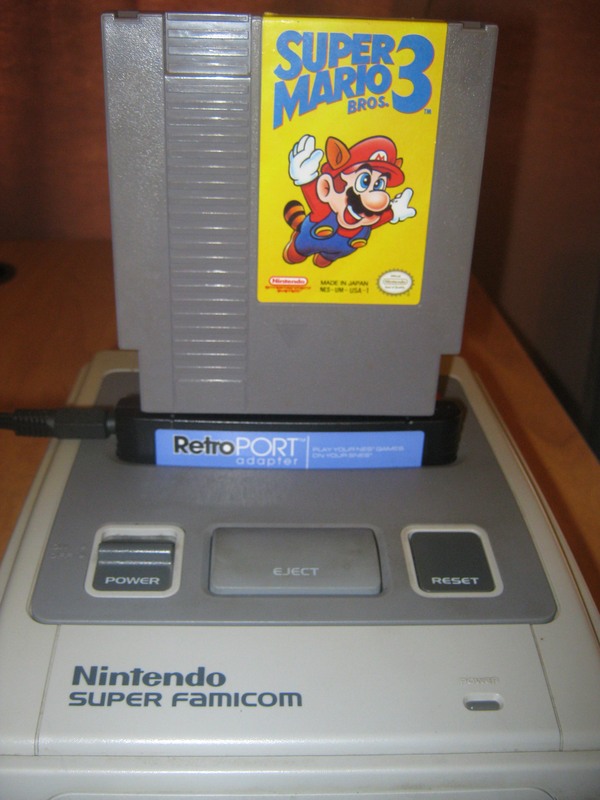 Sadly, the NOAC used in the RetroPort seems to be a generic one that has been in use for years already and has been surpassed by RetroBit’s other clones, such as the RetroDuo. 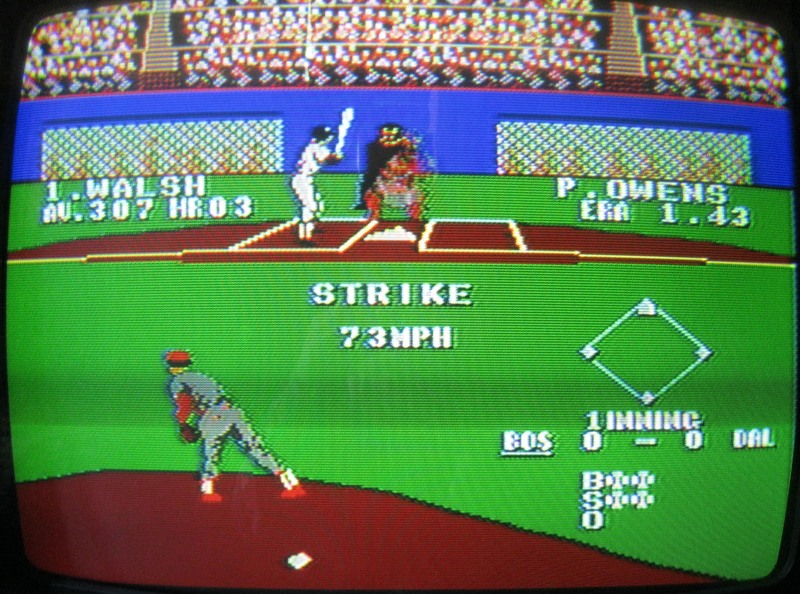 Nevertheless, most games do work with the RetroPort. After testing hundreds of titles, here is a partial list of games I found to be incompatible with the RetroPort. Please keep in mind that this list is currently incomplete as I do not have access to every title ever made. As with all clones, the RetroPort does a decent job at running NES games on non-native hardware, but there are a few hiccups here and there. First, there are differences in the controls. When the new hardware was planned out, Nintendo designed the SNES controller to be electrically backwards compatible with the NES, and mapped the NES B and A buttons to the SNES Y and B. For whatever reason, RetroBit decided to circumvent Nintendo’s button mappings and replace it with their own custom mapping. The new mapping of the device restores the NES B and A buttons to the SNES B and A buttons. This means that the Y and X buttons are unused, and you will need to adjust how you hold the controller if you are used to normally using the Nintendo default of Y and B. 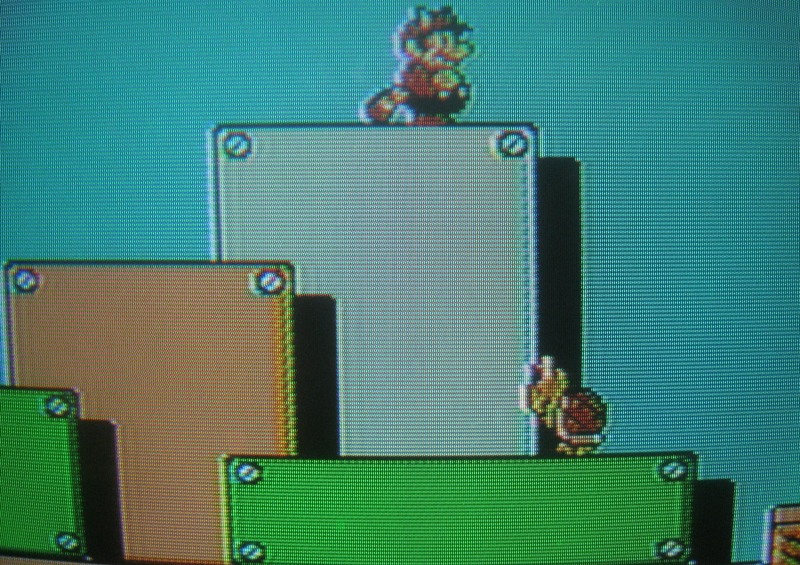 As far as sound, the RetroPort has both mono and stereo RCA hookups dispute that NES games were only programmed in mono. The extra channel duplicates the single mono channel to create duel-mono like DVDs of vintage films from the mid 20th century. Surprisingly, the RetroPort doesn’t have the typical reversed duty cycles that cause incorrect pitch in sound effects and some background tunes in many common NOAC clones. That being said, the audio provided isn’t perfect – audio seems to be overamplifed and distorted on certain games, particularly Sunsoft titles. This can potentially be fixed so look forward to a tutorial in the near future. Video output is rather good. Colors are bright and vibrant, and the brightness in general is similar to the real hardware. 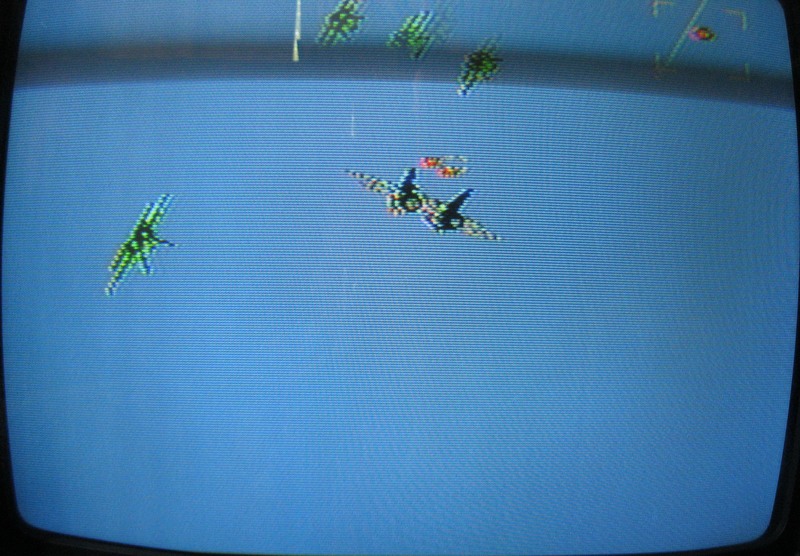 The only flaw seems to be in the RetroPort’s white balance. Oddly, on every different TV I was able to try it on, the RetroPort produces colors that should be vivid white instead a charcoal ash gray. This isn’t a huge deal or anything, but it’s worth mentioning before you assume there might be something wrong with your set. The RetroBit RetroPort Adapter is currently available from DasCheap.com and can be purchased online from them for $14.30 USD plus shipping. You can order it by clicking here. In late 2011, a curious Super Famiclone appeared in Japan called the PokeFami DX, apparently being developed concurrent to Hyperkin’s Supaboy, but completely unrelated. 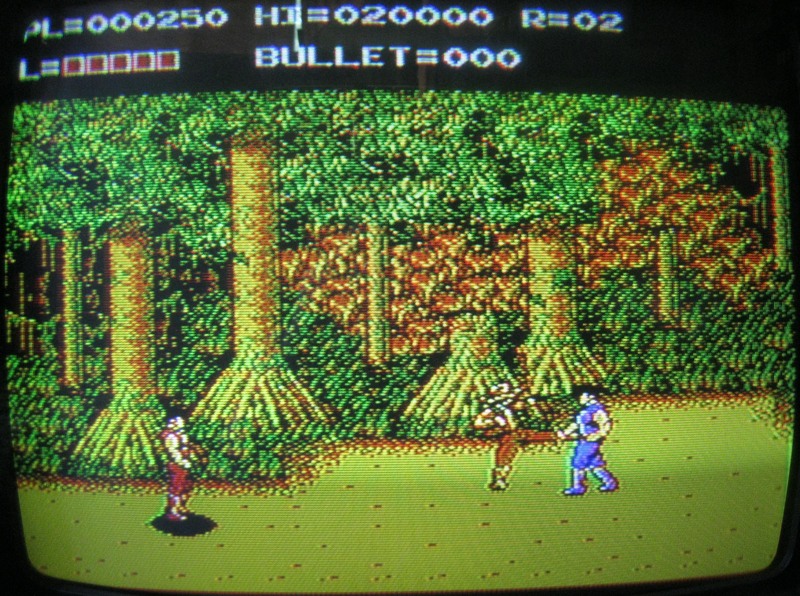 A few months after its Japanese release, a western adaptation was released by RetroBit, the RetroDuo Portable. When the PokeFami DX was released in Japan, two adapters were also made available for it – the FC Adapter and the MD Adapter. 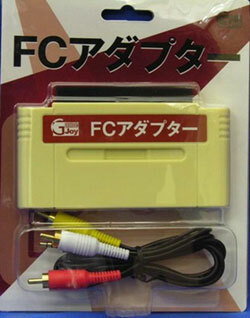 The FC Adapter is the Japanese basis for the western NES RetroPort. The only real difference between the two is the number of pins – the Famicom version has 60 pins, the NES version has 72. Doesn’t require ownership of any standalone NES or Famiclone; just a SNES or Super Famiclone. Incompatible with a number of NES games, including some common mapper titles. Although it does has its fair share of problems, the RetroPort is nonetheless a very cool accessory to the SNES and owning it almost feels like restoring the Super NES to its original purposed design what would have allowed for backwards compatibility. 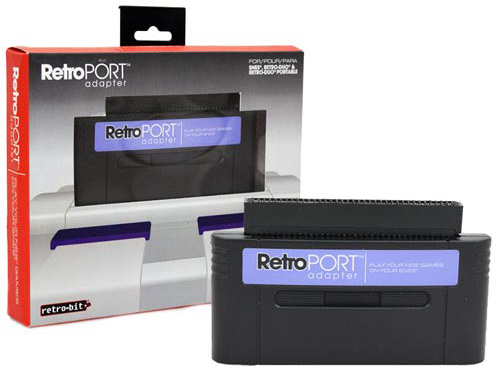 Whether you want to build an NES collection without worrying about the problems of the aging NES consoles out there or just want a novel device for your SNES library, you can’t go wrong with the RetroPort from RetroBit. This entry was posted on June 5, 2012 at 3:29 am and is filed under Hardware, NES, Peripherals, Retro Gaming, Reviews, SNES. You can follow any responses to this entry through the RSS 2.0 feed. You can leave a response, or trackback from your own site. Does anyone know what those Nintendo 1st generation things are called that enable you to play all Nintendo 1 games with out the system that ou just plug and can play all titles and where to get one?? Uh, an emulator. or a Famiclone with a built in multicart. Unfortunately, the use of A/B buttons excludes the possibility of wiring an NES adapter directly to the SNES by splicing an adapter out of extension cables. A/B on an NES controller map to B/Y on the SNES, and A, X, L, R are beyond the 8-bit range. However, I have always preferred using the A/B buttons as opposed to B/Y on the Super Nintendo gamepads, and I always used “Mode B” for the control scheme of Super Mario All Stars for that reason. Playing Gameboy Advance games using the A/B buttons on my DS phat also felt natural to me as well. One thing that annoyed me about the Hyperkin FC Mobile II was that the A/B buttons had the B/Y positions on the console, despite the fact that many gamers including yourself prefer this layout. I ordered a Retrobit adapter the other day, despite the fact I have a real Toaster as well as a 2004 Yobo clone. 3 quick questions: Is the A/V adapter a 3-pin stereo 3.5mm jack, or a 4-pin 3.5 jack? Also, do X/Y function as turbo buttons? I forget if it was the Retro Duo or the FC Twin, but I seem to recall one reviewer stating that for at least one of those systems, the cloned SNES pads extra buttons functioned as turbo buttons when used in NES mode. Do the “jump” and “coin” sound effects in Super Mario Brothers emulate correctly? 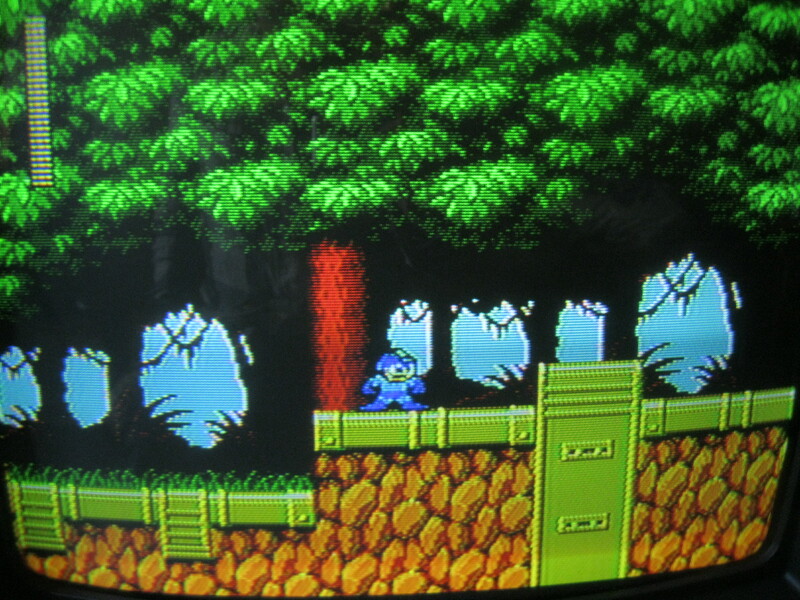 SMB is one of the few games that plays with off-key sound effects on my old Yobo clone. The audio on my FC Mobile II is terrible though. 1. I don’t know how to tell the difference between a 3 or 4 pin 3.5mm jack. Maybe you can help me with that and I’ll be able to answer your question. 2. No, the Y, X, L and R buttons do absolutely nothing. It’s like they’re not there. 3. Yes. Check out the video review at the bottom of the post! Well, the problem is that with the 7407 in place, many other games don’t work with it. The only real loss here is Castlevania 3…its either that one game or a whole bunch of other games that won’t work. so I decided it’s not even worth the mod. That’s why I haven’t put up a tut for it. You told in your review to connect NOT-gate across pin 65 and 58 and the NOT-device must be powered by pin 36 and grounded by pin 72. My only problem is to identify the pins. I guess your only talking about the upper pins (for NES games) which have to be modified. From which side do I have to count, front (AV exit is on the left side) or back and from left to right? I want to be really sure about this, before I start this thing. It would be a great help if you’re answering. Thanks again! About the whole issue of NOAC clones not playing MMC5 games (or PowerPak, for that matter). You claim that the issue on cheap NOAC clones can be fixed by replacing a specific pin with a not gate. Well, is there a way, if someone had access to all of the pins on the NOAC, to wire it up correctly so that all games would work? Or is the chip lacking this pin? It seems the clone makers would have figured out how to rewire the chip to make all games work, if it were possible. Sorry about a late response, but does Earthbound Zero work on this? Yes, of course. it’s a common MMC3 game. This might be a stupid question, but is the Retroport compatible with the Supaboy? Yes, but not really. It will only display if you use the Supaboy in console mode and have it plugged into a tv with controllers coming from it. It does not work as a portable. That’s something only the RetroDuo Portable is capable of. Same goes for the RetroGen. It’s just another of the many reasons the RetroDuo Portable is a vastly superior product to the Supaboy. Why doesn’t it display to the LCD? Blame Hyperkin for yet another of their substandard products. (I live in australia) and buy this thing, will it play my Euro NES games properly..at all? PAL NES games will play, but the clockspeed will be all wrong. I could go into a ton of detail, but for the sake of simplicity, I’ll only briefly explain the problem. To accommodate 50Hz tvs used in Europeans countries and its colonies, Nintendo lowered the cpu speed of the Famicom and North American NES from 1.79Mhz to 1.66Mhz, which is 17% less or 1.7 times slower. If you try and run a PAL NES game on an NTSC machine with it’s 1.79Mhz processor, your game will run 1.7x faster than it should. Some PAL NES games were not altered in any way, so they’ll play at their correct NTSC speed instead of being underclocked on a PAL machine. However, other games were adjusted for PAL and will play 1.7x beyond comfortable playing speed. The result is like someone hit fast forward on a DVD player and still trying to enjoy the dvd. A small number of PAL exclusive games (no NTSC counterpart like Noah’s Arc) will display major glitches and probably not be very playable. So yeah, you can run PAL NES games through the RetroPort or any other NTSC clone or original hardware, but the results vary game by game. Also keep in mind that the RetroPort sends a 60Hz signal. PAL 60 should work, but PAL 50 will not. Theoretically, the 4021 should support that. but since it was Hori who made the 4 Score and Hudson who made the SNES Multitap, they might be incompatible. I seriously doubt it. The NES four score splits each control port into two ports (port 1 controls players 1 and 3; port 2 controls players 2 and 4), while the SNES multitap splits player 2 port into three players (2, 3, and 4). does anyone know if the RetroPORT that comes with the RDP works on SNES or SupaBoy? No it does not. It even says “For RDP only” on it. This is because it exports video to the RDP via a special pin that’s not present in any other clone or the original hardware. It will technically work and output audio, but no video feed to either the SNES or SupaBoy.